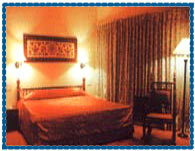 Hotel Kaynes Mysore, Kaynes Hotel Mysore, Reservation for Hotel Kaynes, Mysore, India. Address: 85 - 87, Hootagalli, BEML Road (Off Hunsur Road), Mysore - 571186, Karnataka, India. Accessibility: 9 kms. from Railway Station, 12 kms. from Bus Stand. Hotel Kaynes is spread over 12 acres of lush green landscaped having colourful artistic architecture with plenty of free space and fresh air, just 20 mts away from Mysore city. Hotel provides 5-Star facilities at 3-Star economy, combining all the formal ambience of star class business hotel with world class recreational facilities of a holiday resort. 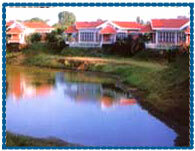 Hotel offers a total of 22 Individually air-conditioned and tastefully furnished rooms abutting on to the lake. All the rooms have a romantic sit out with a television having CCTV & satellite TV connections, hot & cold water and fridge. Fully Air-conditioned, Business Centre, Banquet & Conference Facilities, Beauty Parlour, Shopping Arcade, Health Club, Swimming Pool, Tennis, 24 Hours. Room Service, Television with CCTV & Satellite TV Connections, Hot & Cold Water, Gymnasium, Sauna, Massage Parlour, Doctor on Call, Boating Facilities.